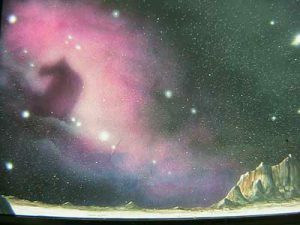 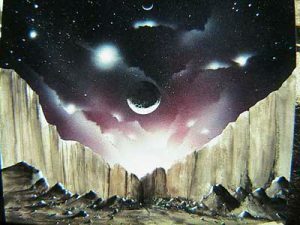 These painting are done in watercolor and airbrush. 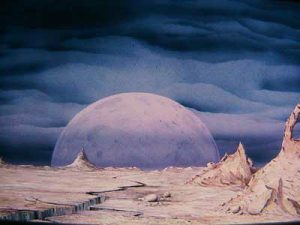 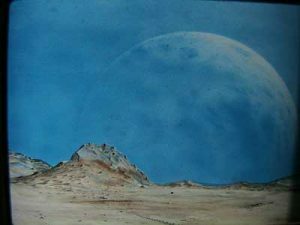 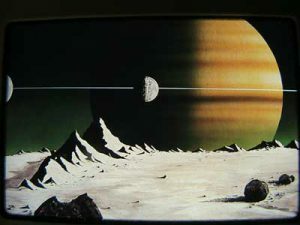 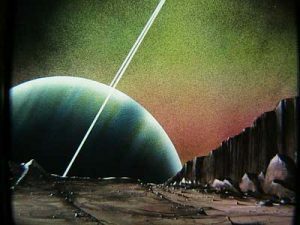 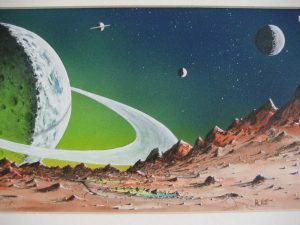 Each image is some imaginary view from a planet or moon. 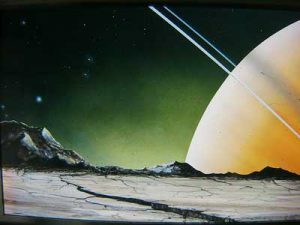 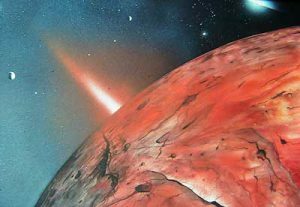 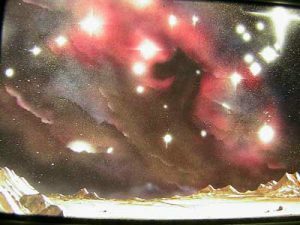 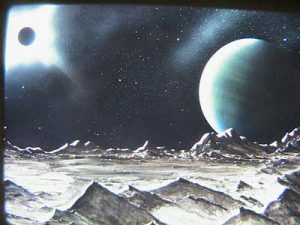 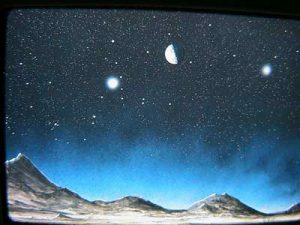 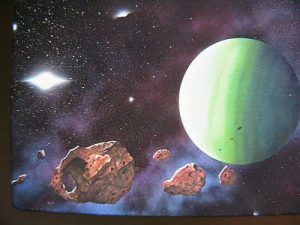 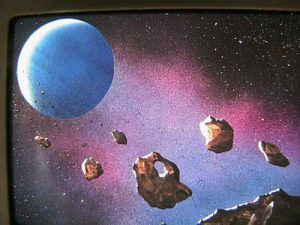 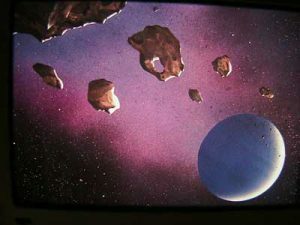 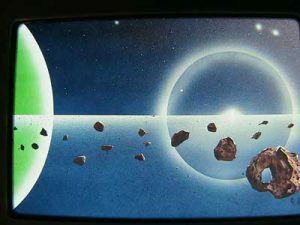 Some of these paintings have been used in planetarium programs and printed media. 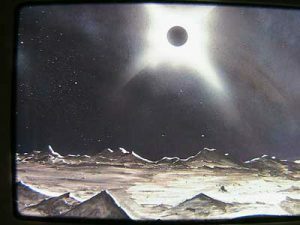 Dr. Hitt had participated in local art shows and his paintings have been sold to collectors throughout the world.